Congratulations to grades 3, 4, and 5! 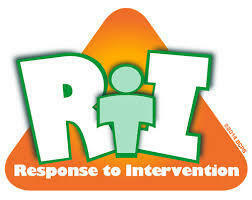 Every grade level met or exceeded their RTI goals this time, which has never happened before! Way to go CIS! CIS celebrated Mr. Erdman's new position as CIS lead principal for the 2019-2020 school year! Reminder: Tomorrow night CIS will host a Parent Meeting to review survey responses and discuss suggestions for the 19-20 school year. Please make plans to attend, everyone is invited! We will meet in the library at 6:00 pm. We hope to see you there! Please join us March 21st by wearing your crazy/mismatched socks! Parent Teacher Conferences Tomorrow, March 14th! School will release at 12:20 and conferences will start at 1:00 pm. 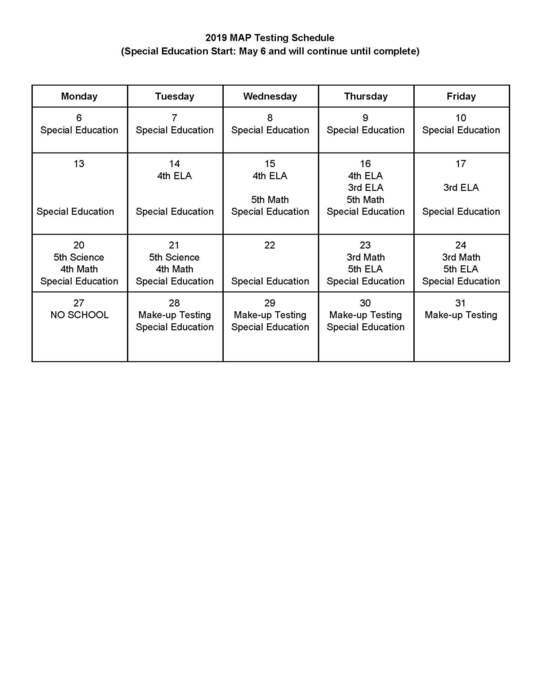 Please contact your child's teacher to schedule. To make student check-out quicker and safer, please remember to park in the parking lot rather than the pick up lane. This will help keep you on time for appointments and such. If you happen to be checking out at the end of the day, you will be caught in the pick-up line without a safe way to exit. The Cameron School District will start tomorrow on a 2-hour delay start schedule. There will not be morning preschool classes. All buildings will open by 7:30 a.m. if you need to drop your student off. Please bundle up. 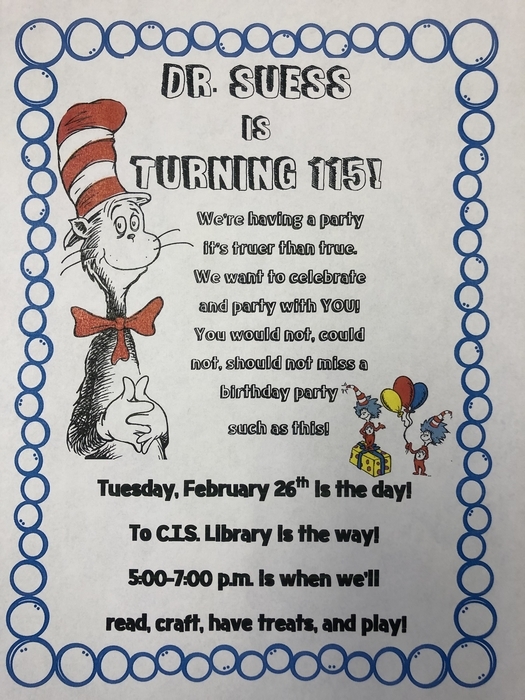 Don’t miss Dr. Seuss’ Birthday Party!!! Drop in anytime between 5 & 7 @ the CIS library! Individual picture retakes will be Wednesday, February 20th. Scholastic will take pictures at Parkview first and will then travel to CIS. Online purchasing is now available for pictures taken today. Sorry for the inconvenience, Scholastic has since opened up the option for CIS.. The Spelling Bee has been cancelled for tonight. It has been rescheduled for Monday, February 18th at CVMS. Registration will start at 5:30 and the competition will start at 6:00. Reminder: Monday the 18th is a make-up day and class picture day. Make-up Tutoring Days: We will make-up missed tutoring days February 26th and 28th! Same times, 3:00- 3:50 p.m.
Spelling Bee will be held Friday, February 15th at CIS. Registration starts at 5:30 and the event will start at 6:00. Please come show your support for our 5th grade participants. Picture Day is scheduled for Monday, February 18th. This is a make-up day. Pictures will be taken in the morning! No School Tuesday, February 12th due to icy road conditions. School WILL BE IN SESSION February 18th. This will be a make-up day. With impending freezing rain the Cameron School District will not be in session Monday February 11th. Stay warm and safe! We will see you tomorrow. Keep those smiles ready, we will reschedule picture day as soon as possible! Sorry for the inconvenience. Stay warm and stay safe! Due to weather, CIS will dismiss at 12:30 today, Tuesday, February 6th. Group pictures for CIS have been moved to Friday, February 8th. Sorry for the late notice. Fifth Grade Word Club WILL have their spell off after school tomorrow to determine who will be moving on. Good luck 5th Grade Word Club students and everyone stay warm! TUTORING: We have had a tough time getting permission forms sent and returned so we plan to wait one more week before starting our ELA tutoring. Tutoring will now start Tuesday, February 5th. Students recommended for tutoring should have brought the form home last week. Please check with your child or their teacher to see if they were recommended. Have a great weekend! No school tomorrow, January 25th. School will not be in session Monday, January 28th for teacher in-service. School will resume Tuesday, January 29th. Have a great weekend! After School Activities at CIS Cancelled 01/24/2019: Due to early dismissal, (approximately 2:25 pm), we are cancelling all after school activities including Word Club, Open Library and reading tutoring. Late Start January 24 Two hour late start tomorrow January 24th for the Cameron School District. The bus company will contact those on or around EE Highway to arrange pickup locations. Schools open at 7:30 for student drop off if needed. No school tomorrow, January 23rd. Stay safe and warm! Emergency Snow Routes have been posted on Class Dojo and the CIS website. Bus riders, please make note of your time and stop. We DO NOT plan to utilize them tomorrow (1/23) but want you to have access for possible future needs. Enjoy your day off and stay safe! Due to projected forecasts, Cameron R-I Schools will be dismissing at 1:00 pm. Car riders and bus riders will be dismissed at that time. NO SCHOOL Monday, January 14th due to icy road conditions! We will see you Tuesday! Cameron R-I School Website App is Now Available! Visit your app store for the free download! Winter Break will be December 22nd through January 6th. Please enjoy your time with family and friends. If traveling, be safe and we will see you in 2019! NO SCHOOL School will not be in session November 21, 22, or 23. School will resume November 26th. The weather is changing! 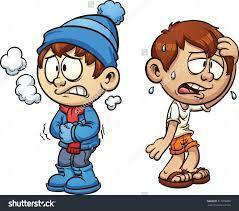 Please help your child be ready for recess and bus stops by sending them in warm clothing including long pants and coats. Hats and gloves are a great idea too! We will continue to go outside for recess if possible. Boo Grams and Box Tops are due tomorrow! Send the Boo Gram form and money with your child to ensure delivery next week! Hello CIS parents and students, please pick up your fundraiser products TOMORROW! Especially important because there is frozen cookie dough with a lot of the orders! Thank you! Pick up is from 3:15-6:15. 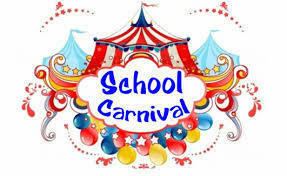 Join us Saturday, October 27th for the CIS School Carnival! Community and families of all grade levels are invited! Games will be in the commons area and gym. Doors will be open 1:00 - 4:00 pm. We hope to see you there! CIS Reminder: School will release at 12:20 pm tomorrow followed by parent teacher conferences. Please schedule a time to meet with your child's teachers and stop by the book fair! School will not be in session Monday, 10-8 for teacher in-service. School resumes Tuesday 10-9. Reminder: Fundraisers are due next Monday! 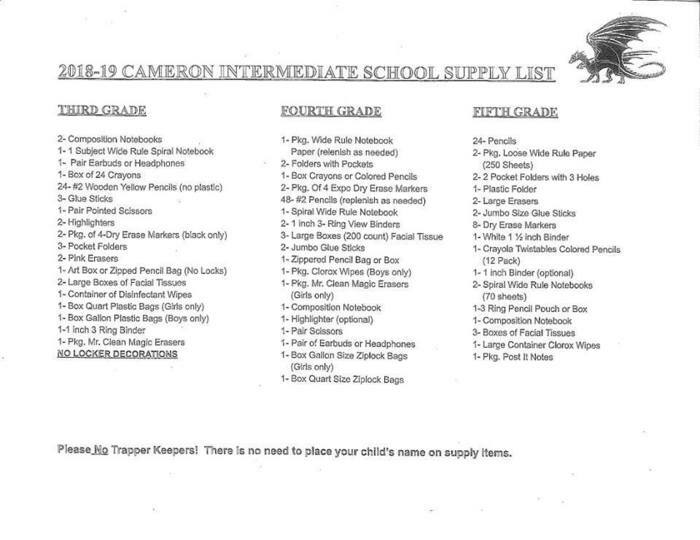 (October 1) Please send packets and payments with your child. Reminder: Tomorrow, September 21st is an early release for Homecoming activities. Classes at CIS will release at 12:20 pm. The Homecoming parade will start at 1:30 pm. School will dismiss at 12:20 pm September 21st for Homecoming activities. Reminder: CIS Picture Day is this Friday, August 31st and school will not be in session September 3rd and 4th. 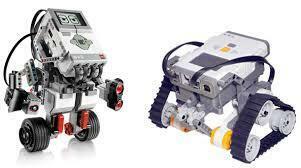 5th Grade Robotics still has a few spots left! Sign-up by visiting wernimontscience.weebly.com! Hurry, only 30 applicants accepted! Title I Parent Meeting Thursday, August 30th at 6:00 pm. Please join us to find out about the opportunities our students have access to through the program. All parents and students are invited to attend. We hope to see you there! Reminder: Tonight is a home football game. Please come out and support the Dragons! Just a reminder that any students in grades 3-5 that attend the football need to be accompanied by a parent or guardian. Students are NOT allowed to be dropped off by themselves. 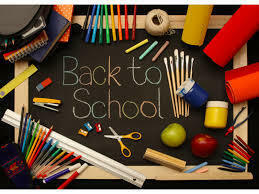 Don't forget....... School starts TUESDAY, AUGUST 21st at 7:51 am. Breakfast is served 7:15 am - 7:45 am. School ends at 2:57 pm. Car riders should be picked up and dropped off in front of the building. Please DO NOT park if picking your child up as a car rider, it is a safety concern. We can't wait to see you! Have a great weekend! Due to lightning, the pool party sponsored by the Optimist Club has been cancelled. A big thank you to Bank Midwest for their school supply donations! Picture Day is scheduled for August 31st! Packets will be sent the week prior.